The Warlord is a Nemoto designed knife that was released in a limited run of 30 knives. This is the third knife in the Paragon War Craft series. Made of Japanese D2 steel, the blade embodies the tradition of classic Japanese swords. 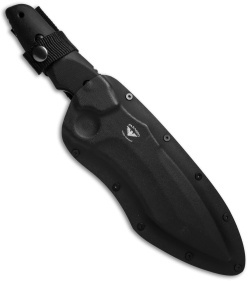 It features a massive 7.5" blade with a durable bead blast finish. 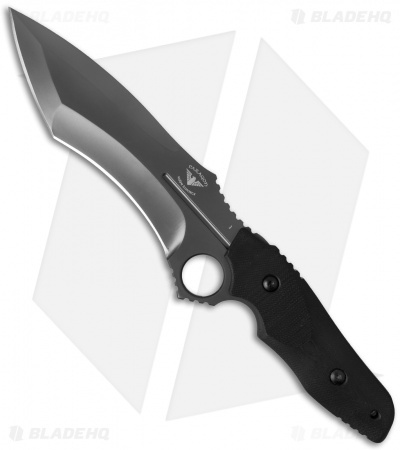 The full tang construction is matched with sculpted, black G-10 handle scales and a substantial finger hole. There is a lanyard hole for easy carry, and a black Kydex sheath with adjustable straps. This limited edition blade comes with a numbered certificate of authenticity.